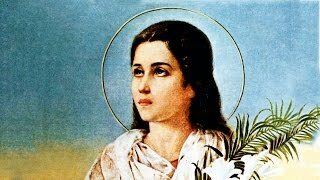 There is nothing known about Flavia other than she was martyred. The feast kept by the Western Church today is actually of St. Placid, "a monk and disciple of the Blessed Abbot Benedict, together with his brothers Eutychius and Victorinus, their sister, the maiden Flavia, Donatus, Firmatus the deacon, Faustus, and thirty other monks", who, we are told were martyred by pirates at Messina. The feast day is October 15th.